The way we produce our food globally is resulting in both starvation and obesity. Both forms of malnutrition are connected to the current climate crisis, says the EAT-Lancet Commission report released last month. Watch and share your views on some short videos on this topic, and learn how to save the world one mouthful at a time! Join us for this month’s 350 Christchurch film night, a free, public event with videos, discussion and info-sharing, followed by a cuppa. Koha appreciated. 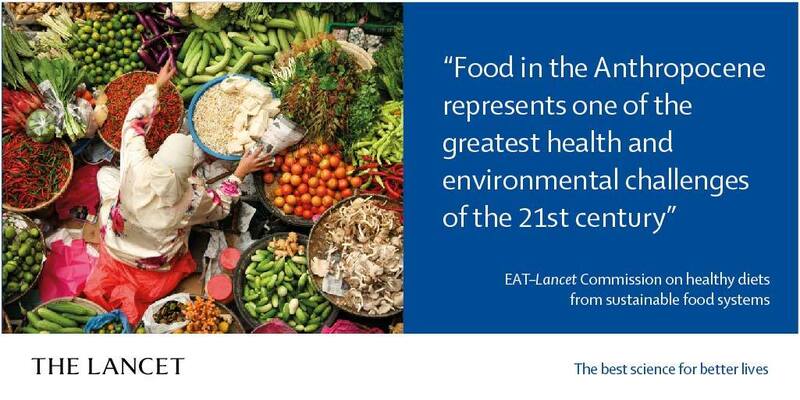 Last month the British medical journal The Lancet released a report* describing a healthy diet based on a sustainable food system. The Commission describes a universal healthy reference diet – greater consumption of healthy foods (e.g. vegetables, fruits, whole grains, legumes, and nuts), and less consumption of unhealthy foods (e.g. red meat, sugar, and refined grains). This would both increase health and also meet the Sustainable Development Goals. The report also shows how this fits within the limits of a healthy planet.